At Storskog, Norway’s border check-point to Russia’s Kola Peninsula, Police in charge of immigration control keeps track of statistics. After the last ruble crash, month by month traffic was down 34% from January 2014 compared with the same month in 2015. Year-by-year, traffic was down 23,5%. 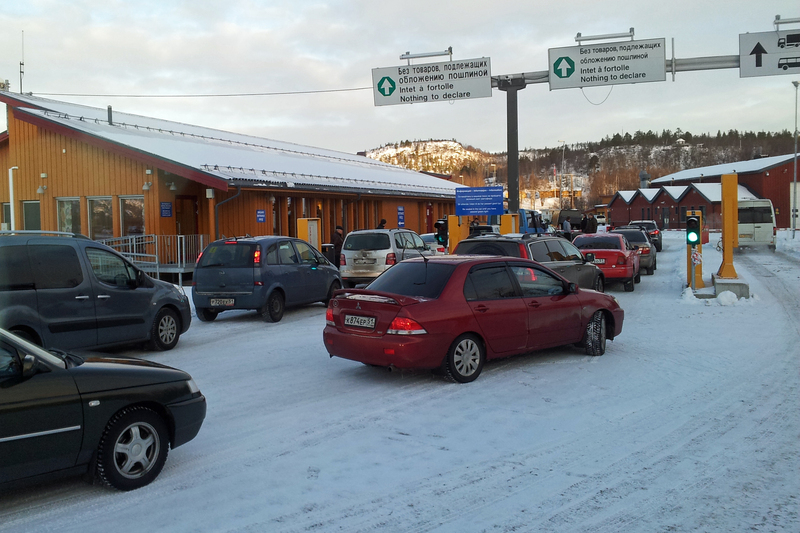 Majority of border crossers are Russians driving for shopping in Kirkenes, the nearest town on the Norwegian side.